Posted July 30, 2011 in Tips, Tags: low potassium diet, low potassium potato recipes, low potassium potatoes, Potassium, potassium in potatoes, reduced potassium by Sara Colman, RD, CDE. Potatoes are a staple in the American diet. We love hash browns or home-style fried potatoes with breakfast; french fries with burgers; baked potatoes topped with butter, sour cream, vegetables or chili and cheese; potato skins with the same toppings; stewed potatoes and mashed potatoes with gravy. No wonder the potato is so popular with so many ways to prepare them. Potatoes are rich in carbohydrates, a good source of vitamin C, B6 and provides 2 grams of fiber. One 4-3/4″ x 2-1/3″ diameter potato with skin contains 1080 mg potassium. That’s over half the daily goal for a potassium restricted diet. People withe chronic kidney disease or on dialysis who require a low potassium diet can still eat potatoes by using a technique to reduce potassium. Although potassium is not totally removed, it is lowered enough to safely include a small portion and keep your diet kidney-friendly. Use this newer technique to remove potassium in 30 minutes or less. Peel potatoes and cut into thin slices, diced small or shred for hash browns. Place potato pieces in a pot of water and bring to a boil. Drain water then add fresh water. Bring water to a boil and cook potatoes until tender. Drain water and prepare potatoes as desired. The double cook method reduces potassium below 200 mg for a 100 gram portion (2/3 cup). Another well known technique for reducing potassium in potatoes is to cut up and soak potatoe pieces in water. To learn more about this technique read the article “Lowering Potassium in Potatoes” in the Diet and Nutrition Section of DaVita.com. Try one of these kidney-friendly potatoe recipes low in potassium, sodium and phosphorus. Use the double cook method instead of soaking. You can double boil or soak potatoes to remove about half the potassium. Limit portion to 1/2 cup. Watch this DaVita Eats video on the double-boil method. 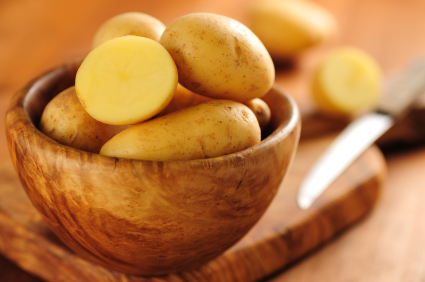 Read the DaVita article “Lowering Potassium in Potatoes” to learn more. I’m not sure why you are getting that message unless it is from the browser developer. DaVita does not send messages like that one. This site is awesome! I have learned so much! Wow!!! God is good. I just thank Him and give Him all of the praise and all of the glory. For He is truly worthy of it all. I love potatoes and reapply didn’t know how I was going to make out without them, but with this technique of soaking before cooking has made it all possible and worth it. My potassium levels have dropped tremendously and given me a second chance of recovering from my high potassium health scare. Thank you God and DaVita. Please continue to post other recipes to help people like me, again “THANKS”. I have bee pulling my hair out before I found this information. My partner has CKD and has had potatoes as a part of her diet. Now that can be done safely. It will be worth the effort for the suprise. Thanks! I am on dialysis and I am diabetic can I have a small amt of rappini? This may be something that you could incorporate into your diet. You may speak with the dietitian in your clinic to see if you can incorporate rapini into your diet, based off your current blood results. I buy frozen roasted red cut potatoes from Earthbound at our local market when I need some I put frozen potato in oven and roast them or in a pan the stove. I was told I should not put in water. The cut potato pieces also still have skin. So I assume I should start with whole uncooked potato, correct. You may want to use fresh potatoes and double-boil or soak instead of using the frozen potatoes. Could one use the cube style frozen hash browns if they were blanched and drained first. I have a recipe for a potato casserole that uses these or the ones with onion and peppers in. Everything in it can be adjusted for the dialysis diet as long as the potatoes would work. Yes if you soak them in warm water for 1-2 hours. Part of the potassium will leach out into the water. Many people in stage 3 CKD can still include potatoes if potassium from blood test results is normal. Check with your health care team. When you double boil potatoes to reduce the potassium in them, are all of the other nutrients reduced also? Yes. For this reason you shold include other lower potassium veggies at other meals. Some brands are lower in potassium than others. A search for generic instant mashed potatoes shows 1/4 cup dry flaked has 165 mg potassium, whereas 1/4 cup dry granules has 350 mg potassium. Check the package label. If it provides potassium, look for a product below 200 mg potassium per serving. Otherwise use fresh potatoes and apply the double-boil or soaking method to remove about half the potassium. Can potatoes be leached with skin if cutting them up first? The goal is to open up as much surface area of the potato as possible, so the potassium will leach out into the water. Taking the skin off increasing that surface area. If you do not skin the potato before you boil it and cut it into pieces you will still be able to leach out some potassium in the pieces you have cut up. Leaving the skin on may not leach out as much as if you took the skin off. I noticed that baked potato chips have lower potassium than regular chips. Is this correct or am I reading the nutritional value wrong? Thank you. Most likely it is correct but this may vary with different brands. Processing, including peeling, rinsing, soaking, drying the potatoes then reassembling to make the chips can reduce the potassium content. I am a dialysis patient, and I love potatoes prepared any type of way. Thanks for the great education!! What about instant mashed? Is the heat process they go through go enough to reduce potassium content? Yes, instant mashed potatoes do loss some potassium in the processing stages. An article on DaVita.com is helpful in giving information on different levels of potassium in potatoes. I live in mumbai, india. I am a patient of chronic kidney disease. I also suffer from diabetes and heart valve problem. I am interested in having a dietician food plan for my daily use. Your doctor may be able to help you find a dietitian to help with your individual needs. I am unsure how that process would work in India. Can you purchase potatoes low in potassium. And here I thought I was cheating when I made my hash browns using this method. I have been doing this for a couple of years now. Good to know my logic worked! A 1/2 cup of small, fingerling potatoes has approximately 300mg potassium. You would leave them the same way, but skinning them and cutting them into smaller pieces, or cutting them into quarters. Does that method work with anything other than potatoes? I ask because my cousin is needing Dialysis, but hasn’t started. He said that the dietary restrictions are so hard now with phosphorous and potassium that he feels like all he can eat is chicken and fish and canned peaches and pears. He was sent to a nutritionist, but they gave him a diet for his Diabetes, but he couldn’t do the food with the kidney problems. There is still on going research of different cooking methods that could affect foods like vegetable, beans and meats. This method works for sweet potatoes as well. The diet is very individualized so his blood results will help guide his dietitian on what he can safely eat. There are ways to have food in moderation and portion size is important. DaVita.com has many recipes that can help get him started. My husband is on dialysis and I am a stage 3 kidney disease patient and we love all kinds of potatoes especially Sweet potatoes. please tell me how to remove the potassium. PLEASE. Also. I have 2 Acorn Squash here I was given. what is a good way to prepare them? You can treat the sweet potatoes the same way as a regular potato, peeling and cutting them into cubes then boiling them. It will not remove all the potassium, but will help. As far as Acorn squash, it is generally roasted, cut in half, in it’s skin. However, they are higher in potassium. You may want to try to cube them, and boil those cube to remove some of the potassium, then roast them. However, keep in mind these are still a higher potassium food. Keep the portion to 1/2 cup. If your doctor has your blood results, they can tell you if it is ok to have higher potassium foods. Thank youfor your information. 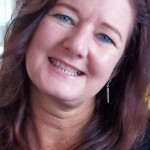 I am a stage 3 ckd patient and no one has said anything to me. I have beentrying to eat vegies and very little chicken. Been making potatoe salad as a filler but good to know about twiice boul. Thank you. Is there a difference in potassium levels in Irish potatoes and sweet potatoes? Both potatoes are high potassium foods. The white potatoes, or Irish potatoes, have about 80mg potassium per serving. If you are doing home hemo or peritoneal dialysis you may want to speak with your dietitian. Generally potassium is less restrictive, but talking with your doctor and dietitian about your potassium level will help guide them on what you can have. Raisins are considered a higher potassium food, but if you have raisin bread, where it is only a small amount, that is generally acceptable. As a dialysis I would like to know if i should leach sweet potatoes also? I do not want to boil them first. Yes–leaching in room temperature or warm water for 2-4 hours will remove part of the potassium just like leaching white potatoes. The suggested portion for leached potatoes is 1/2 cup. Per Cronometer 369 grams of Potassium contains 1501.83 mg. Phosphorusis 228.78 mg.
Sara, when I cook potatoes I bring them to a boil and then pour out that water and start the potatoes with cold water. Does that get rid of most of the potassium? Once the potatoes come to a boil allow them to boil for 10 minutes before removing the first pot of water. Also–be sure to cut up the potatoes. Exposure of the flesh to water helps remove more potassium. Which method removes more potassium from potatoes and sweet potatoes–leaching or double boiling? results from studies show the results are similar. With leaching the mistake some people make is they put the potatoes in water then refrigerate overnight. To effectively remove potassium the water must be room temperature or warmer. I believe double-boiling is the quickest method. Yes. The main concern with potatoes is the potassium level. That is why we recommend double-boiling or soaking and limiting the portion. Please tell me who to extract potassium from potato in labortary…to prove our hypothesis correct ..
You can use the double boil method or soaking. The earlier research studies peeled and cut the potatoes to expose surface area to the water then soaked at room temperature or in warm water for 2-4 hours to extract the potassium. A medium baked potato has over 900 mg potassium. A medium banana has 425 mg potassium. Thank you so much for great info You have helped me a lot.